Safety Acronyms - Terraine, Inc. Employee exposure, without regard to the use of respirators, to an airborne concentration of lead of 30 micrograms per cubic meter of air (30 ug/m(3)) calculated as an 8-hour time-weighted average (TWA). If the action level is exceeded, certain OSHA regulations go into effect. A term used by OSHA and NIOSH to express the level of toxicant that requires medical surveillance. Having an immediate response due to a short period of exposure to a relatively high concentration. Refers to those adverse effects occurring following oral or dermal administration of a single dose of a substance, or multiple doses given within 24 hours, or an inhalation exposure of 4 hours. A sticky material or glue that adheres two surfaces. Construction uses include adhering tile to subflooring or sealing joints between trusses and roof decking. An exposure control measure that reduces exposure to an acceptable limit by removing the worker from exposure after a specific length of time (job rotation) or establishing work rules such as, wetting of dusts, no dry sweeping, no eating, no drinking, or no smoking, etc. A supplied air respirator where Grade “D” breathable air is delivered to the worker at the proper pressure through a flexible hose or trunk line. Changes to the way people work. Examples of administrative controls include procedure changes, employee training, and installation of signs and warning labels (such as those in the Workplace Hazardous Materials Information System). Administrative controls do not remove hazards, but limit or prevent people’s exposure to the hazards, such as completing road construction at night when fewer people are driving. A coarse material, such as gravel, broken stone or sand, with which cement and water are mixed to form concrete. Crushed stone is usually designated as coarse aggregate and sand as fine aggregate. See American Industrial Hygiene Association. The process of measuring the airborne concentrations of a specific chemical over a given time period. A respirator that removes limited concentrations of air contaminants from the breathing air. An APR does not add oxygen to the air and cannot be used in an oxygen-deficient atmosphere. Sample of air taken for the purpose of determining an exposure based on an inhalation hazard (breathing) only. A substance that can cause an allergy. Many plant materials, and some industrial chemicals, are allergens. A new job (with comparable pay) offered by the same employer after you’ve been injured or made ill on the job such that the doctor says you cannot return to your former job. Air sacs of the lungs at the end of the bronchioles where oxygen and carbon dioxide are exchanged. Provides ongoing training and education to some 6,000 specialized occupational and environmental physicians; publishes Occupational Medical Guidelines. Publishes standards for exposure to industrial chemicals, among other activities. American Conference of Governmental Industrial Hygienists (ACGIH®) to which it is believed that workers can be exposed to with minimal adverse health effects. Represents industrial hygiene specialists responsible for sampling and analyzing worker exposures to physical, chemical, biological and radiological hazards; provides ongoing training. Publishes a series of Guides to the Evaluation of Permanent Impairment. A privately funded, voluntary membership organization that develops consensus standards for a wide variety of devices and procedures. Grants credentials to practitioners of industrial security, including assets, personnel and processes; oversees the professional designation, Certified Protection Professional (CPP). The United States’ oldest occupational health and safety organization representing safety professionals; provides ongoing education and information about regulatory matters. A federal law that prohibits discrimination against people with disabilities. Tying a wall down to resist racking or lift. Walls can be “anchored” to the ground using foundation bolts, straps, and special brackets. Standard glass used for most windows. It can be baked to create tempered glass. Conducted by the Bureau of Labor Statistics (BLS) on a national level; some employers are required to participate and others do so voluntarily. American National Standards Institute, a private organization that recommends safe work practices and engineering designs. Arising Out of Employment / Course of Employment; a term used in the workers’ compensation field. Claims are only accepted for compensation or disability if the incident occurred AOE/COE. A way of figuring out how much permanent disability is due to a worker. The intrinsic property of a material to cause injury to an aquatic organism. A wildfire willfully ignited by anyone to burn, or spread to, vegetation or property without consent of the owner or his/her agent. The American Society of Civil Engineers design standard for buildings and other structures. The standard addresses wind loads. See American Society of Industrial Security. See Annual Survey of Occupational Injuries and Illnesses. A vapor or gas that can cause loss of consciousness and death due to lack of oxygen, or a chemical that can interfere with the body’s use or transport of oxygen. Includes severe acute effects such as chemical pneumonia, varying degrees of pulmonary injury or death following aspiration. Aspiration is the entry of a liquid or solid directly through the oral or nasal cavity, or indirectly from vomiting, into the trachea and lower respiratory system. Substances and mixtures of this hazard class are assigned to one of two hazard categories this hazard class on the basis of viscosity. See American Society of Safety Engineers. A professional designation offered by the Insurance Institute of America. The minimum temperature at which a substance ignites without application of a flame or spark. Do not heat materials to greater than 80% of this temperature. A continuously framed gable wall where studs form one continuous piece from the floor to the roof. In the balloon method, the gable and the wall are framed all in one piece. Most houses have a rafter set on top of the wall to form the gable, and this is not a preferred method for wind resistance. A structural wall that provides support for all or major portions of the vertical loads. Shear walls or braced frames provide seismic and high wind resistance. Biological Exposure Index recommended by the ACGIH as the maximum recommended value of a substance in blood, urine, or exhaled air, at which most workers would not experience an adverse health effect. Any biological organism or product of organisms that presents a risk to human health. Biological monitoring consists of obtaining a sample of blood, urine, feces, hair, or expired air to determine the dose of a chemical to the body. For lead exposures, blood sampling and analysis for lead and zinc protoporphyrin levels (ZPP) is the most common form of biological monitoring. Disease-causing microorganisms present in human blood, including hepatitis B virus (HBV), hepatitis C virus (HCV), human immunodeficiency virus (HIV) and other pathogens. The temperature at which a liquid’s vapor pressure equals the surrounding atmospheric pressure so that the liquid rapidly vaporizes. The lower horizontal board that is permanently attached to the foundation and nailed to the bottom of the wall studs. This board should be pressure-treated. An air sample that is collected within the breathing zone of a person (i.e., within one foot of the nose and mouth) to determine an actual exposure level. A fire burning in vegetation that is predominantly shrubs, brush, and shrub growth. A collective term that refers to stands of vegetation dominated by shrubby, woody plants, or low-growing trees, usually of a type undesirable for livestock or timber management. The entire exterior surface of the building, including walls, doors and windows, which encloses or envelops the space within. A preeminent source of injury- and illness-related statistics and publisher of annual surveys taken from employer injury and illness records. The stratum containing the crowns of the tallest vegetation present (living or dead), usually above 20 feet. A chemical or physical agent capable of causing cancer. Such an agent is often described as carcinogenic. The ability to cause cancer is termed carcinogenicity. A medical condition wherein the median nerve and flexor tendons pass through an anatomic tunnel in the wrist; pain caused by CTS can be helped by the wearing of wrist supports. A chemical reaction, which employs a catalyst. A catalyst is a substance that aids a reaction but remains unchanged. Examples of catalytic reactions include catalytic converters in automobiles that use platinum to reduce pollution emissions and boat resins, which are hardened (or cured) using a catalyst. Something alkaline that strongly irritates, corrodes, or destroys living tissue. A process of removing metal (i.e., lead) from the body using certain drugs. This process should only be used as a last resort in cases where body lead levels are very high. A written plan, required of laboratories meeting certain criteria, that establishes safety standards for workers exposed to hazardous chemicals; used to implement control measures, training and other protective measures. Is inflammation of the lungs or breathing difficulty due to inhaling chemical fumes, or aspirating (breathing in and choking on) gastric acid from the stomach, mineral oil, gasoline, or other damaging chemicals. The heath effect exhibited by the body after long term exposure to relative low concentrations of a chemical. Continual or repeated exposure; usually associated with illness. Cladding can mean several different things. Cladding as siding includes vinyl siding, wood siding, cementious (“Hardy Board”) or aluminum siding. Cladding for windows and doors refers to the vinyl or aluminum skin used on the outside in place of paint i.e. “vinyl clad” or “aluminum clad.” Cladding in general can refer to skylights, glazing, glass block, shutters or any other external protection device. Paperwork used to report a work injury or illness to the employer. A person who makes an insurance claim. A collection of regulations decreed under U.S. law. An agreement negotiated between a labor union and an employer to detail the terms of employment for the workers. A person designated by the employer who is capable of identifying existing and predictable health hazards in the surroundings or working conditions and who has authorization to take prompt corrective measures to correct them. Prior to commencement of the job, each employer shall establish and implement a written compliance program to ensure that workers are not exposed to lead above the exposure limits established by OSHA. The amount of a specific substance mixed into a given volume of air or liquid. For workplace exposures, concentration usually refers to the amount of a toxic substance mixed into air. An area that has adequate size and shape to allow a person to enter, and has limited openings for workers to enter and exit, and is not designed for continuous human occupancy; its primary function is other than human occupancy. Workplace areas whose configurations hinder the activities of any employee who must enter, work in and / or exit such spaces. A mechanical device for securing two or more pieces, parts, or members together, including anchors, wall ties, and fasteners. OSHA regulations that are specific to construction operations and hazard controls. (CPSC) is charged with protecting the public from unreasonable risks of serious injury or death from consumer products. The CPSC is committed to protecting consumers and families from products that pose a fire, electrical, chemical, or mechanical hazard or can injure children. A chemical that causes visible destruction or irreversible alterations in human skin tissue, or other material, at the place of contact. A fire that advances from top to top of trees or shrubs more or less independent of a surface fire. An injury caused by repeated events or repeated exposures at work, such as the loss of hearing due to constant loud noise. A disorder caused by one or more of the following: repetitive excessive motion of a body part, excessive force, or awkward body posture. The specific date of injury or illness, or the date of knowledge that the injury was caused by work. Benefits paid to dependants when a work injury or illness results in death. An area, typically a width of 30 feet or more, between an improved property and a potential wildfire where the combustibles have been removed or modified. The wrecking or taking out of any load-supporting structural member and any related razing, removing, or stripping of lead containing products. An injury case in which the insurance company believes an injury or illness is not covered by workers’ compensation. The relative weight of a gas or vapor compared to air, which has an arbitrary value of one (1). If a density is less than one it will generally raise in air. If the density is greater than one it will generally sink in air. A U.S. cabinet-level department responsible for agencies that oversee safety and health, including the Occupational Safety and Health Administration (OSHA) and the Mine Safety and Health Administration (MSHA). A formal session in which an attorney asks questions of a party under oath; may be used as evidence at a trial. A horizontal or nearly horizontal system designed to transmit lateral forces to shear walls or other vertical resisting elements. Oversees training and education for professionals in the area of business continuity, including testing criteria and national tests. Hazardous particles (lead) and dust removed from the job site must be packaged, tested, and disposed of according to federal, state, or local waste regulations. See Disaster Recovery Institute International. Particles produced when organic or inorganic materials are crushed, abraded or ground; protected against in the workplace by dust masks and respirators. A building occupied exclusively for residential purposes by not more than two families. A system for extinguishing a hazard upon or shortly after its inception, such as sprinklers and fire protection systems. A respirator made from a rubber type material in which it may be cleaned, disinfected and reused. Eliminating the hazard—physically removing it—is the most effective hazard control. For example, if employees must work high above the ground, the hazard can be eliminated by moving the piece they are working on to ground level to eliminate the need to work at heights. An organizational plan for swift, efficient and cost-effective responses to medical, fire, care, shelter and communications needs after disasters. Includes construction design, food and sanitation equipment storage, as well as conducting drills and preparing a disaster plan. A program contracted by the employer and staffed by psychologists and other health professionals to which employees under stress or exhibiting behaviors that may create an unsafe work environment can be referred. Information, results or records concerning employee exposures to harmful substances or agents in the workplace, such as inventories of chemicals, material safety data sheets and work area sampling results. The exposure to chemical by the routes of inhalation, ingestion, or skin absorption, or through broken skin. Documentation of workers’ health status by physicians, nurses or other health professionals; includes exams, first aid records, diagnoses and treatments. A person whose work activities are under the control of an individual or entity; minors and undocumented workers are included in the definition. A color changing indicator to identify when a respirator cartridge needs to be replaced. The third most effective means of controlling hazards is engineered controls. These do not eliminate hazards, but rather isolate people from hazards. Capital costs of engineered controls tend to be higher than less effective controls in the hierarchy, however they may reduce future costs. For example, a crew might build a work platform rather than purchase, replace, and maintain fall arrest equipment. “Enclosure and isolation” creates a physical barrier between personnel and hazards, such as using remotely controlled equipment. Fume hoods can remove airborne contaminants as a means of engineered control. A method of controlling exposures by a mechanical means, such as ventilation systems. The person (such as the employer, foreman, or crew chief) responsible for determining if acceptable entry conditions are present at a permit required confined space, for authorizing entry and overseeing entry operations, and for terminating entry. The scientific study of the pattern of disease in a population of people. The consideration of the variability in human capabilities when selecting, designing or modifying equipment, tools, work tasks, furniture and the work environment in general. See Early Suppression, Fast Response. The origin of a disease, or the study of the causes of disease. The time period to which a company refers when evaluating an insurance policy. The range of concentrations (% by volume in air) of a flammable gas or vapor that can result in an explosion from ignition. Usually given as Upper and Lower Explosive Limits (UEL and LEL). A material that produces a sudden, almost instantaneous release of pressure, gas, and heat when subjected to abrupt shock, pressure, or high temperature. Each employer who has a workplace or operation covered by OSHA’s Lead in Construction standard shall initially determine if any employee is exposed to lead at or above the action level based on air monitoring or objective historical data. The concentration of a contaminant to which it is believed that workers can be exposed with minimal adverse health effects. Nails, wood screws, sheet metal screws, self tapping screws, “Tek” screws, bolts & nuts with washers, epoxy (glued) anchors, lag bolts or “J” bolts, etc. A daily publication of the U.S. government that highlights recently decreed laws, rules and regulations. Means a particulate form of asbestos, 5 micrometer or longer, with a length-to-diameter ratio of at least 3 to 1. A weld where two pieces of metal or other material are welded together at a right angle on the inside of the joint. Used in respirator cartridges to remove dusts or particulates from the breathing air. A plan implemented by businesses and other organizations to protect constituents (e.g., employees, tenants); includes elements such as preventing fire, checking building design for compliance with fire and safety codes, ensuring proper emergency exits and avoiding electrical hazards. That part of a fire within which continuous flaming combustion is taking place. Unless otherwise specified it is assumed to be the leading edge of the fire perimeter. The classification of roofing assemblies A, B or C as defined in the Uniform Building Code (UPC) Standard 32.7. The time that the material or construction will withstand fire exposure as determined by a fire test made in conformity with the standard methods of fire tests of building, construction and materials, glowing phases of combustion by direct application to the burning fuel. Vegetative Management that removes flammable fuels from around a structure to reduce exposure to radiant heat. The flammable fuels may be replaced with green lawn, gardens, certain individually spaced green, ornamental shrubs, individually spaced and pruned trees, decorative stone or other non-flammable or flame-resistant materials. Emergency measures to be taken before regular medical help can be obtained; first aid kits are required in the workplace. Is one that has a flammable range in air at 20 °C and a standard pressure of 101.3 kPa. Substances and mixtures of this hazard class are assigned to one of two hazard categories. Is a liquid with a flash point of not more than 93 °C. Capable of being easily ignited, burning intensely, or having a rapid rate of flame spread. A material, such as sheet metal, used in roof and wall construction to shed water. The minimum temperature at which a liquid gives off a vapor in sufficient concentration to ignite. A masonry section usually made of concrete, in a rectangular form wider than the bottom of the foundation wall or pier it supports. Any knowingly false statement for the purpose of obtaining or denying workers’ compensation benefits. A measure of how often injuries and illness occur; expressed as a raw number or in some form of rate or ratio. An area, strategically located for fighting anticipated fires, where the native vegetation has been permanently modified or replaced so that fires burning into it can be more easily controlled.Fuel breaks divide fire-prone areas into smaller areas for easier fire control and to provide access for fire fighting. Any manipulation or removal of fuels to reduce the likelihood of ignition or the resistance to fire control. All combustible material within the wildland/ urban interface or intermix, including vegetation and structures. A respirator with a facepiece that covers from under the chin to the forehead. May be attached to an air purifying or air supplied respirator. An airborne dispersion of minute solid particles arising from the heating of a solid (such as molten metal, welding). Particles that develop after being heated; mostly arise from metals and plastics. The upper triangular-shaped portion of the end wall of a house above the eave line of a double sloped roof. A formless fluid that occupies the space of its enclosure. It can settle to the bottom or top of an enclosure when mixed with other materials. It can be changed to its liquid or solid state only by increased pressure and/or decreased temperature. Formless fluids that may be toxic; can be protected against by the wearing of gas masks. OSHA orders that apply to all businesses across the board. A system consisting of natural or mechanically induced, uncontaminated or clean air movement to mix with and dilute contaminants in a work area. An agent giving rise to an increased occurrence of mutations in populations of cells and/or organisms. Substances and mixtures in this hazard class are assigned to one of two hazard categories. Category 1 has two subcategories. See General Industry Safety Orders. A worldwide initiative to promote standard criteria for classifying chemicals according to their health, physical and environmental hazards. The grade of air required by OSHA to be provided to supplied air respirators. It has requirements for the minimum percent of oxygen, maximum amount of contaminants, such as oil mists, or carbon monoxide, percentage of humidity and other purity requirements. All combustible materials such as grass, duff, loose surface litter, tree or shrub roots, rotting wood, leaves, peat or sawdust that typically support combustion. A respirator with a facepiece that covers from under the chin to the bridge of the nose. Requires chemical manufacturers and importers to assess the hazards associated with the materials in their workplace (29 CFR 1910.1200). Safety Data Sheets, labeling, and training are all results of this law. 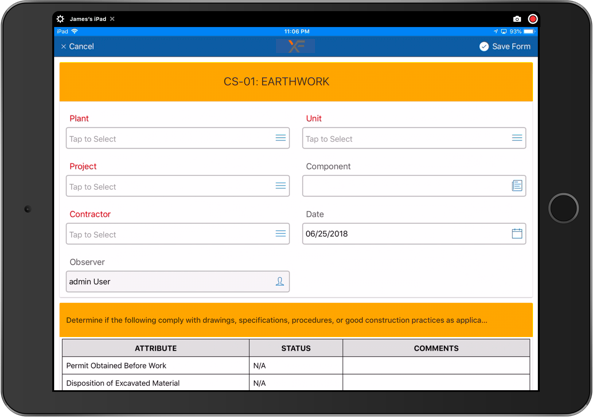 A formal written program to control one or more types of occupational health and safety hazards or to prevent degradation of the environment; usually includes instructions for managing specific hazards. A condition with the potential to cause harm or physical damage. In a broad sense, any substance or mixture of substances having properties capable of producing adverse effects on the health or safety of a human. Included are substances that are carcinogens, toxic, irritants, corrosives, sensitizers, and agents that damage the lungs, skin, eyes, mucous membranes, etc. A type of labeling system used for identifying hazardous materials. The name of the material and related information about target organs and effects, health hazards, physical hazards, and route of entry is included. A substance that has been discarded or otherwise designated as a waste material that contains the potential to damage the health and well-being of people and the environment. Provides managed medical care within the workers’ compensation system in some states. Substances that pose a risk through either acute (immediate) or chronic (long-term) toxicity. A physical disorder caused with excessive exposure to heat. There are four forms of heat stress: heat rash, heat cramps, heat exhaustion, and heat stroke (sunstroke). This zone consists of Broward and Dade counties. High-efficiency particulate air filtration found in respirators, air cleaners and vacuum systems capable of filtering 0.3 micrometer particles with 99.97% efficiency, for use in contaminated environments. Infection due to the Histoplasma capsulatum fungus; grows as a mold in the soil, and infection results from breathing in airborne particles. Soil contaminated with bird or bat droppings may have a higher concentration of histoplasma. The distance in feet measured from the building face to the closest interior lot line, to the centerline of a street, alley or public way, or to an imaginary line between two buildings on the same property. All surfaces shall be maintained as free as practical of accumulations of lead. HEPA vacuuming or other methods should be used that minimize the likelihood of lead becoming airborne. Galvanized steel or stainless brackets used to strengthen “wood to wood” and “wood to concrete” connections. Straps may also be referred to as “hurricane clips”. Forces placed on a structure by water. Chance that a firebrand will cause an ignition when it lands on receptive fuels. See Insurance Institute of America. See Injury and Illness Prevention Program. An atmospheric concentration of any toxic, corrosive, or asphyxiant substance that poses an immediate threat to life, would cause irreversible or delayed adverse health effects or would interfere with an individual’s ability to escape from a dangerous atmosphere. A situation where exposure to a hazardous atmosphere results in serious injury or death in a matter of minutes, or causes serious delayed effects. A workplace hazard that puts you at immediate serious risk of death or serious physical harm. It may be a safety hazard such as an unstable trench or exposed electrical wire that could cause a serious or fatal accident immediately under present conditions. It also may be a health hazard such as toxic substances or dangerous fumes, dusts, or gases that could cause death or irreversible physical harm, shorten life, or reduce physical or mental performance. Glass formed where two pieces of annealed glass are bonded together with an interlayer that holds the glass in the window frame even when it is broken or shattered. Similar technology is used to make automobile windshields; the difference is that windshields are tempered. Shutter systems or impact-resistant glass systems used to protect windows, doors and openings from wind-borne debris. An event, with known casual factors, leading to injury or illness. Describes materials that could cause dangerous reactions and the release of energy from direct contact with one another. A person who charges a fee to the insurance company to adjust claims. A fee-for-hire individual who exercises control over how the work is done; labor law enforcement agencies and the courts look at several factors to decide if someone is an independent contractor or an employee. A specialized area that recognizes, evaluates and controls chronic (longer-term) worker exposures to harmful physical or chemical agents or conditions such as noise levels, ventilation rates, airborne contaminants, heat exposure and radiation. Guidelines for implementing safety regulations and practices in industrial settings, designed to prevent accidents or acute illnesses; procedures include those for the safety of cranes, trenches, construction, electrical, confined spaces and elevators. Means the displacement of the atmosphere in a space by a noncombustible gas (such as nitrogen or carbon dioxide) to such an extent that the resulting atmosphere is noncombustible. The route of exposure in which a toxic substance is eaten or swallowed thus introducing it to the digestive system. A route of exposure in which a toxic substance is breathed thus introducing it to the respiratory system. Required recordkeeping about injuries and illnesses caused by work-related activities that result in lost work time, fatalities, off-site treatment and / or restricted work activity. Log information must be posted at the worksite. A health and safety program that employers develop and implement. Periodic audits of the workplace environment, including equipment, chemicals, building structure, documented procedures, records and employee knowledge of job requirements and hazards. Interdepartmental or external (conducted by outside agencies) inspections check for compliance with health and safety regulations. A glass unit using more than one piece, i.e. “double pane” or “double glazed”, “triple pane” or “triple glazed”. Oversees a variety of continuing education programs for professionals in the insurance business and related fields, including certifications such as the Associate of Risk Management (ARM). The insurance company that may provide a workers’ compensation policy. A substance which can cause an inflammatory response or reaction of the eye, skin, or respiratory system. A step-by-step method of identifying the hazards associated with a particular task; also known as Job Safety Analysis (JSA). A way to identify the hazards associated with a job or task; also known as Job Hazard Analysis (JHA). Fuels that provide vertical continuity allowing fire to carry from surface fuels into the crowns of trees or shrubs with relative ease. Window systems that combine two panes of glass with a plastic middle insert to create impact-resistant surfaces. A flexible length of rope, wire or strap used to secure the body, belt or body harness to a deceleration device, lifeline or anchorage. Time that elapses between exposure and first manifestations of disease or illness. Latency periods can range from minutes to decades, depending on hazardous material and disease produced. Is the amount of a material, given all at once, which causes the death of 50% (one half) of a group of test animals. The LD50 is one way to measure the short-term poisoning potential (acute toxicity) of a material. When there are health effects attributed to excessive amounts of lead in the body. An indication of the lethality of a given substance. Pays damages to the party that was harmed. Responsibility to another person for negligence causing harm. A right or claim for payment against a worker’s compensation case. A temporary change in one’s job assignment to accommodate work restrictions. A workers’ compensation claim in which an attorney is involved, most likely on behalf of the injured worker. When wind forces are placed on a house, the force must ultimately make its way into the ground. For example, a wind load path can follow from the roof to the framing through a wall into the foundation and then into the ground. The path that the force takes is called the load path. A ventilation system that captures and removes the contaminant at the point where it is produced before the contaminant can escape into the work area. Requires that any energy source – electrical, hydraulic, mechanical, compressed air or any other source that might cause unexpected movement – must be disengaged or blocked; electrical sources must be de-energized and locked or positively sealed in the off position. Even a locked-out machine, however, may not be safe if parts of the machine are not blocked to prevent inadvertent movement. Used by employers to record and classify work-related injuries and illnesses and note the severity. Employers must record information about every work-related death and about every work-related injury or illness that involves loss of consciousness, restricted work activity or job transfer, days away from work or medical treatment beyond first aid. An organization’s history of losses (claims). Insurance companies view loss history as an indication of an organization’s propensity for losses in the future. Activities undertaken to eliminate injuries and illness. Activities undertaken to reduce the magnitude or severity of injuries and illnesses. The amount of money that an insurance company pays on a claim. Refers to the lowest concentration of gas or vapor (% by volume in air) that bums or explodes if an ignition source is present at ambient temperatures. A device or system that prevents objects from getting caught in the moving parts of machinery. Devices like scissor-lifts, pallet jacks and rolling tables designed to assist in the transport of material. Literature prepared by a manufacturer that contains information such as a list of hazardous ingredients, safety precautions for handling, spill- or release-response procedures and first aid instructions. The level of a specific contaminant that, if exceeded, will cause a worker to be exposed above the PEL because of leakage in a respirator. An entity or group of health care providers set up by an insurer (such as a workers’ compensation carrier) or a self-insured employer in order to treat workers injured on the job. The treatment reasonably required to cure or relieve the effects of a work-related injury or illness; also known as medical care. A flu-like condition resulting from the inhalation of fumes of heated metals. An agency of the Department of Labor that oversees surface and subsurface mining safety rules and regulations. MSHA conducts inspections, assists with training, and can issue citations, penalties and-cease-and-desist orders in situations where a mine’s practices create imminent danger to workers. Building or retrofitting an existing building to resist damage caused by natural disasters like hurricane, windstorm, wildfire, floods. One or more layers of polymer modified asphalt sheets. The sheet materials shall be fully adhered or mechanically attached to the substrate or held in place with an approved ballast layer. See Mine Safety and Health Administration. An injury or illness of soft tissues of the fingers, upper arms, shoulders and neck, lower back or legs that is primarily caused or exacerbated by workplace risk factors such as sustained and repeated exertions or awkward postures and manipulations. See also Repetitive Strain Injury (RSI). A chemical or physical agent able to change or damage the genetic material in cells. A voluntary membership organization whose aim is to promote and improve fire prevention and protection; publishes 16 national fire codes. The federal agency responsible for conducting research and making recommendations for the prevention of work-related disease and injury. NIOSH is part of the Centers for Disease Control and Prevention (CDC). Any area where lack of flammable material obstructs the spread of wildfires. A demonstration by the employer, that employee exposure during an operation is found to be consistently below the PEL. A material that affects the nerve cells and may produce emotional or behavioral abnormalities. See National Fire Protection Association. See National Institute for Occupational Safety and Health. Incapable of easy ignition. Does not bum, or bums very slowly. Also, a DOT hazard class for any compressed gas other than a flammable one. Dusts that do not produce significant organic disease or toxic effect from “reasonable” concentrations and exposures. The measurement of spacing for structural members like studs, rafters and joists in a building, from the center of one member to the center of the next. The lowest concentration of a substance in air that can be smelled. For a given chemical, different people usually have very different odor thresholds. A large, important class of chemical compounds. The molecules of organic compounds contain carbon atoms. Organic liquids or solids that contain the bivalent structure and may be considered a derivative of hydrogen peroxide, where one or both of the hydrogen atoms have been replaced by organic radicals. The term also includes organic peroxide formulations (mixtures). Substances and mixtures of this hazard class are assigned to one of seven ‘Types’, A to G.
Commonly referred to as “OSB” is a siding, or sheathing made from wood chips that are bonded together with glue under pressure and soaked or sprayed with sealants to resist damage caused by moisture. See Occupational Safety and Health Administration. The DOT defines an oxidizer or oxidizing material as a substance that yields oxygen readily to stimulate the combustion (oxidation) of organic matter. Liquids that, while in it is not necessarily combustible, may, generally by yielding oxygen, cause or contribute to the combustion of other material. Substances and mixtures of this hazard class are assigned to one of three hazard categories. Solids that, while it is not necessarily combustible, may, generally by yielding oxygen, cause or contribute to the combustion of other material. Substances and mixtures of this hazard class are assigned to one of three hazard categories. The concentration of oxygen, by volume (19.5 percent), below which atmosphere-supplying respiratory protection must be provided. A legal term – not medical – that refers to any lasting disability that results in a reduced earning capacity after maximum medical improvement is reached. Payments provided when an employee’s work injury permanently limits the kinds of work an employee can do. A legal standard set by OSHA for the maximum concentration of a chemical in the air. OSHA PELs are based on an 8 hour time weighted average (TWA) exposure. Personal protective equipment (PPE) includes gloves, respirators, hard hats, safety glasses, high-visibility clothing, and safety footwear. PPE is the least effective means of controlling hazards because of the high potential for damage to render PPE ineffective. Additionally, some PPE, such as respirators, increase physiological effort to complete a task and, therefore, may require medical examinations to ensure workers can use the PPE without risking their health. An air sample taken with a sampling pump directly attached to the worker, with the collection device placed in the worker’s breathing zone. Hazards that induce a negative effect on the human body but also do not originate from a traumatic event such as a fall, electrocution or blunt force trauma. Means a chemical for which there is scientifically valid evidence that it is a combustible liquid, a compressed gas, explosive, flammable, and organic peroxide, an oxidizer, pyrophoric, unstable (reactive) or water-reactive. Depending on the state, this may refer to a medical doctor, an osteopath, a psychologist, an acupuncturist, an optometrist, a dentist, a podiatrist or a chiropractor. Work that is paid for according to the number of units turned out. A column of masonry, usually rectangular in horizontal cross section, used to support other structural members. A support made of wood, concrete or other material that is driven or embedded into the ground. Examples include wood pilings used with elevated, coastal homes. The length of time a policy is in force, from the beginning or effective date to the expiration date. The contract issued by the insurance company to the insured (your business). A type of air purifying respirator that uses a battery-powered blower to force filtered air through a hose into the respirator facepiece. The PAPR typically has a full-face mask. A unit of concentration; parts of contaminant per million parts of air (volume per unit volume). Hospital, physician or other provider of health care that an insurer recommends to an insured party. Insurance companies can negotiate directly with the PPO for lower-cost services. The amount paid by an insured (your business) to an insurance company to obtain or maintain an insurance policy. Controlled application of fire to wildland fuels in either their natural or modified state, under specified environmental conditions, which allows the fire to be confined to a predetermined area, and to produce the fire behavior and fire characteristics required to attain planned fire treatment and resource management objectives. A type of supplied air respirator that delivers a specific pressure to the facepiece. Whenever a drop in pressure occurs within the face piece (i.e., when the wearer inhales), a valve opens allowing air to flow into the facepiece. The facepiece is always positive, so that if a leak occurred, air would flow out, contaminated air would not flow in. Both a methodology to ensure safety and a set of standards enforced by OSHA programs. PSM focuses its safety activities on chemical-related systems, such as water treatment plants and chemical manufacturing plants, wherein there are large piping systems, storage, blending and distributing activities. A mathematical way of measuring the effectiveness of a respirator. It is the ratio of the concentration of contamination outside the mask to the concentration of contamination inside the mask. Garments worn by workers to keep gross contamination off the body. Filling of the lungs with fluid, which produces coughing and difficulty breathing. A test, conducted with a spirometer, that determines if the lungs are expanding and contracting normally, and if there is enough air moving into and out of the lungs. Purlins are metal tracks used to support metal roofs or siding. Purlins can also mean the members placed at right angles to rafters to break up the roof board span. Is a liquid that, even in small quantities, is liable to ignite within five minutes after coming into contact with air. Substances and mixtures of this hazard class are assigned to a single hazard category. Is a solid that, even in small quantities, is liable to ignite within five minutes after coming into contact with air. Substances and mixtures of this hazard class are assigned to a single hazard category. One who, by possession of a recognized degree, certificate, or professional standing, or who by extensive knowledge, training, and experience, has successfully demonstrated his ability to solve or resolve problems relating to the subject matter, the work, or the project. A test that can be performed to test the fit of a respirator to the wearer. Irritant smoke, amyl acetate (banana oil), or saccharin spray are examples of test agents used for the qualitative fit test. A test that gives an exact measure of fit of a particular respirator to a particular wearer. The concentration of a substance is measured outside and inside a respirator and a ratio is determined. A misshaping of a frame caused when horizontal loads applied to vertical boards displace the frame from its rectangular position. The pitched roof board used in conventional framing. This is also referred to as the “top chord” of the truss. The beam that supports the roof on a gable or the top two sides of the triangle that form the gable. A substance’s tendency to undergo chemical reaction either by itself or with other material with the release of energy. Undesirable effects such as pressure buildup, temperature increase, or formation of noxious, toxic, or corrosive by-products may occur because of the substance’s reactivity to heating, burning, direct contact with other materials, or other conditions in use or in storage. Glass formed by using a wire mesh or other strands inside the glass. This process makes it more burglar or missile-resistant. A measure of the dose of any ionizing radiation to body tissue in terms of its estimated biological effect relative to a dose of 1 roentgen (r) of X-rays (1 millirem (mrem) = 0.001 rem). Issued as a renewal of a policy expiring in the same company. includes adverse effects on sexual function and fertility in adult males and females, as well as developmental toxicity in offspring. Substances and mixtures with reproductive and/or developmental effects are assigned to one of two hazard categories, ‘known or presumed’ and ‘suspected’. Category 1 has two subcategories for reproductive and developmental effects. Materials, which cause concern for the health of breastfed children, have a separate category, Effects on or Via Lactation. Any particle small enough to reach the lungs when inhaled, i.e., breathable. A written and implemented program, established by an employer, which provides for the safe use of respirators on their job sites. A facial mask with filter cartridges designed to prevent inhalation of lead dusts and fumes by workers. Respirators must the requirements of NIOSH. Selection of respirators depends upon the level of exposure to airborne lead. Required when engineering and administrative controls do not reduce worker exposures below the permissible exposure limit. Employers are required to supply respirators that meet the NIOSH requirements to all affected employees at no cost. Employers must also have a written respiratory protection program. A substance that induces hypersensitivity of the airways following inhalation of the substance. Substances and mixtures in this hazard class are assigned to one hazard category. See Risk and Insurance Management Society. A national organization that provides ongoing education, training and information to those in the risk management field. A measure of the severity if a hazard should manifest. A system designed to provide weather protection and resistance to design loads. The system consists of a roof covering and roof deck or a single component serving as both the roof covering and the roof deck. A roof assembly includes the roof deck, vapor retarder, substrate or thermal barrier, insulation and roof covering. The covering applied to the roof deck for weather resistance, fire classification or appearance. The intermediate covering on the roof deck, sometimes referred to as underlayment. Ways a substance may enter the body. The routes of entry are inhalation, ingestion, injection and absorption. Repetitive strain injury. See Musculoskeletal disorder. The collective means by which safety information is disseminated to employees, including the classroom, departmental safety meetings and written communications such as posters, newsletters and postings of regulatory agency inspection findings. Individuals within departments or colleges who assist in implementing the workplace safety program in their respective areas. OSHA has established guidelines for descriptive data that should be concisely provided on a data sheet to serve as the basis for written hazard communication programs. The thrust of the law is to have those who make, distribute, and use hazardous materials responsible for effective communication. Historic California Senate Bill (198) requiring employers to put into place an injury and illness prevention program. A building or part thereof, in whole or in part self-supporting, and having walls of insect screening with or without removable vinyl or acrylic wind break panels and a roof of insect screening, plastic, aluminum or similar lightweight material. A tar (bituminous) backed tape or membrane consisting of items such as self-adhering waterproof strips. This is sometimes referred to as “peel & seal”, or ice and snow shield. A type of supplied air respirator that provides the highest degree of protection. Tanks of compressed grade “D” breathing air are worn on the back and supply the respirator. Solids or liquids, other than a pyrophoric substance, which, by reaction with air and without energy supply, is liable to self-heat. Substances and mixtures of this hazard class are assigned to one of two hazard categories. Thermally unstable liquids or solids liable to undergo a strongly exothermic thermal decomposition even without participation of oxygen (air). This definition excludes materials classified under the GHS as explosive, organic peroxides or as oxidizing. An injury or illness that requires employee hospitalization for more than 24 hours for other than medical observations. Exists if there is a substantial possibility that death or serious physical harm could result from either an exposure that exceeds permissible limits or from practices, methods, operations or processes used in the workplace. A bearing wall designed to resist lateral forces from other than its own mass, acting in the plane of the wall. Process of cleaning metal or other surfaces using small steel shot in a high pressure air stream. The framing board that the wall rests on or that carries the weight of a wall. A typical sill plate is a 2”x 4” or 2”x 6” treated wood board that is bolted into the slab. Commonly known as “disposable dust masks.” This type of respirator offers minimal protection and is not acceptable when working with asbestos; also often referred to as a N95 (a type of disposable filtering facepiece. means the production of irreversible damage to the skin following the application of a test substance for up to 4 hours. Substances and mixtures in this hazard class are assigned to a single harmonized corrosion category. a substance that will induce an allergic response following skin contact. The definition for “skin sensitizer” is equivalent to “contact sensitizer”. Substances and mixtures in this hazard class are assigned to one hazard category. A one- piece slab and footer that is poured at the same time on level ground. The variation of terrain from the horizontal; the number of feet rise or fall per 100 feet measured horizontally, expressed as a percentage. The underside of the eave system. Soffits are usually vented to provide airflow to the attic areas. A liquid, solid, or gas that dissolves another solid, liquid, or gaseous solute, resulting in a solution that is soluble in a certain volume of solvent at a specified temperature. When poured concrete chips, fragments or breaks apart. This problem is usually caused when the reinforcement bar (rebar) is located too close to surface or edges. It can also result from improper or inconsistent concrete mixture or a combination of excessive moisture and temperature change. A concrete block or brick wall used on top of the footer for “off grade” houses where the ground slopes from one side to the other. Commercially available substance used to reinforce roof sheathing to rafters/trusses. The amount of pain and other symptoms described by an injured worker; these factors may carry very little weight in comparison to objective measurements. The assignment of rights of recovery from the insured party. A control measure in which a non-hazardous or less hazardous chemical is substituted for a hazardous chemical. Substitution, the second most effective hazard control, involves replacing something that produces a hazard (similar to elimination) with something that does not produce a hazard—for example, replacing lead based paint with acrylic paint. To be an effective control, the new product must not produce another hazard. Because airborne dust can be hazardous, if a product can be purchased with a larger particle size, the smaller product may effectively be substituted with the larger product. Those persons who have the authority to direct the tasks of other employees and who are therefore responsible for the job-related environments to which their workers are exposed. Supervisors may also be required to develop local area procedures, train workers in health and safety, enforce rules and maintain records. A respirator that delivers breathing air from a compressor through a supply hose connected to the worker’s face piece (half face or full face). Suppression is the most aggressive fire protection strategy. The goal of suppression is to totally extinguish the fire. Fuels lying on or near the surface of the ground, consisting of leaf and needle litter, dead branch material, downed logs, bark, tree cones, and low stature living plants. Short (10 – 15 minute) on-the-job meetings in construction and heavy industry held to keep employees apprised of work-related hazards. See also toolbox safety meetings. Chemically-caused effects from exposure to a material on specific listed organs and systems such as liver, kidneys, nervous system, lungs, skin and eyes. Annealed glass that is baked or tempered. Tempered glass breaks into small pieces instead of shattering and offers a safety advantage. Paid when an employee loses wages because of an injury that prevents him / her from his / her usual job while recovering. Metal connectors that secure masonry or other material to adjoining frames or the foundation. Something that can increase the risk of birth defects in humans or animals. The ability to cause birth defects is called teratogenicity. The use of force to demoralize, intimidate and subjugate; a political weapon or policy. The approval of filter cartridges by NIOSH for a specific application. An organization that performs managerial and clerical functions related to an employee benefit insurance plan or an insurance plan such as workers’ compensation. An indication of imminent danger or a source of harm. The section of the Code of Federal Regulations dealing with the regulations of the Occupational Safety and Health Administration (OSHA). Provided on all open sides and the ends of railed scaffolds at locations where people work or pass under the scaffold, and at all interior floor, roof and shaft openings. A standard toeboard is four inches minimum from its top edge to the level of the floor, platform, runway or ramp, and must be securely fastened in place. The practice of nailing at an angle to the first member to ensure penetration into a second member. Short on-the-job meetings in heavy industry and construction to keep employees apprised of work-related hazards. See also tailgate safety meetings. The horizontal board, typically two-ply, nailed to the top of the partition or wall studs in a building. Any chemical or material that has evidence of an acute or chronic health hazard and 2) is listed in the NIOSH Registry of Toxic Effects of Chemical Substances (RTECS), provided that the substance causes harm at any dose level; causes cancer or reproductive effects in animals at any dose level; has a median lethal dose (LD50) of less than 500 mg/kg of body weight when administered orally to rats; has a median LD50 of less than 1000 mg/kg of body weight when administered by continuous contact to the bare skin of albino rabbits; or has a median lethal concentration (LD50) in air of less than 2000 ppm by volume of gas vapor, or less than 20 mg/L of mist, fume, or dust when administered to albino rats. A substance that has an adverse effect on one’s health. A laboratory method used to determine whether lead removal debris is considered a hazardous waste and therefore falls under the EPA hazardous waste regulations. Toxicology is the science that studies the poisonous or toxic properties of a substance. The basic assumption of toxicology is that there is a relationship among the dose (amount), the concentration at the affected site, and the resulting effects. The primary and secondary branches growing out from the main stem, together with twigs and foliage. A truss system includes the top chord or rafter (where roof sheathing is nailed), a joist or bottom chord (where the interior ceiling is nailed) and angled pieces that form a web and are used to add strength. A respirator that supplies air to the wearer from an outside source, such as a compressor or compressed air tank. A durable paper-based material used in the manufacture of disposable protective clothing, such as the coveralls used in lead abatement. One or more layers of felt, sheathing paper, non-bituminous saturated felt, or other approved material over which a steep-slope roof covering is applied. The person who reviews an application for insurance and decides if your company is acceptable, as well as what insurance premium to charge. The process an insurance company uses to decide whether to accept or reject an application for a policy. An approach to infection control in which all human blood and certain human body fluids are treated as if known to be infectious for HIV, the hepatitis B and C viruses and other bloodborne pathogens. Wind moving over a structure causes negative wind pressure (suction) to be placed on a building that creates uplift forces (upward pull). Roofs are designed to resist uplift caused when high winds travel over and across the roof. Any area where wildland fuels threaten to ignite combustible homes and structures. The process that insurance companies use to decide whether to authorize and pay for treatment. The weight of a vapor or gas compared to the weight of an equal volume of air is an expression of the density of the vapor or gas. The gaseous state of a material normally encountered as liquid. Volatile organic compounds. Used in coatings and paint because they evaporate very rapidly. Usually 2”x 4” or 2”x 6” wood or metal these run vertically from the bottom plate (floor) to the top plate (ceiling). Usually consists of 2- 2”x 4” or 2- 2”x 6” nailed on top of each other at the top of your wall. Supports the roof trusses and provides the attachment point for wall to roof. A wall supporting any vertical load in addition to its own weight. A wall, bearing or nonbearing, which is used as an enclosing wall for a building, other than a party wall or fire wall. A wall that supports no vertical load other than its own weight. The Wet Bulb Globe Temperature (WBGT) is a composite temperature used to estimate the effect of temperature, humidity, and solar radiation on humans. The outer most assembly of the building envelope, used to protect the inner structure and insulation from the effects of wind and rain. Materials typically used are siding, building paper and flashing. An unplanned and uncontrolled fire spreading through vegetative fuels, at times involving structures. Any fire occurring on the wildlands, regardless of ignition source, damages or benefits. An area in which development is essentially nonexistent, except for roads, railroads, power lines, and similar transportation facilities. Structures, if any, are widely scattered. Occurs when the employer commits an intentional and knowing violation of safety law or when the employer did not consciously violate a safety law but was aware that an unsafe or hazardous condition existed and made no reasonable effort to eliminate the condition. The forces superimposed on a building or structure by the movement of an air mass at a specified velocity. Products that meet Standards PA 201-94, PA 202-94, SSTD-12 and ASTM E1996 and that have a valid Notice of Approval (NOA). The American Society of Civil Engineers (ASCE) definition for areas within hurricane prone regions that are located either (1) within one mile of the coastal mean high water line where the basic wind speed is equal to or greater than 110 mph and in Hawaii, or (2) areas where the basic wind speed is equal to or greater than 120 mph. Missiles or airborne projectiles that cause glass breakage and other damage to buildings during severe wind events. Work Related Musculoskeletal Disorder; see Musculoskeletal Disorder (MSD). Typically a doctor’s description of the work that an employee can and cannot do. A program that aims to develop a long-term plan that is successful in protecting people from injury and death, that complies with regulations and that controls the associated financial costs of loss. A portable instrument that measures lead concentration on a surface, generally in milligrams per square centimeter (mg/cm2).